Big name…but very eatable heat. Boy, the Cherry Bomb pepper comes loaded with a lot of expectation due to its moniker. You may be thinking mouth explosion! But, really, this hybrid chili carries more of a modest boom, about the heat of a milder jalapeño pepper. It’s very eatable heat for those that enjoy spicy food, and it’s a wonderful step-up from the more milder “cherry” pepper , the pimento. It’s terrific stuffed or pickled, so it’s a unique alternative to jalapeños for many of your favorite stuffed popper recipes. 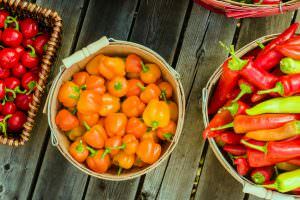 How hot are Cherry Bomb peppers? Their Scoville Scale range falls at the very bottom of medium heat peppers, from 2,500 to 5,000 Scoville heat units. That puts it inline with jalapeño peppers, but jalapeños do have the potential of carrying quite a bit more heat (up to 8,000 SHU). This level of spiciness is well in the family-friendly zone for most eaters who can handle a moderate amount of spicy food. Cherry Bomb peppers? Are these cherry peppers? Or are pimentos? Yes, there is a lot of “cherry”-like names and references in the pepper scale. 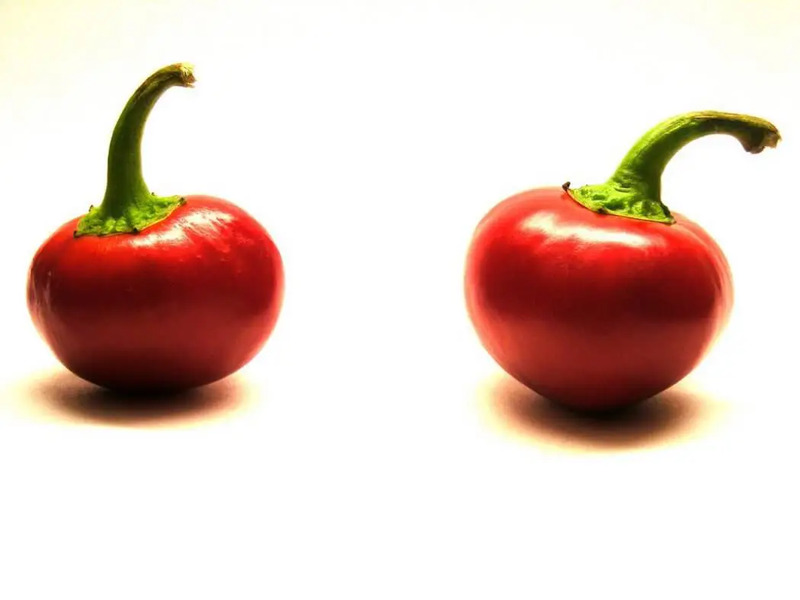 It’s all due to the shape of the chilies that get the label – pimento peppers and Cherry Bombs share the same cherry lines, plump and round. They are about as close to circular as you see in the world of hot peppers, and they’re rather tiny in the scope of the pepper scale, about 2 inches in total length. 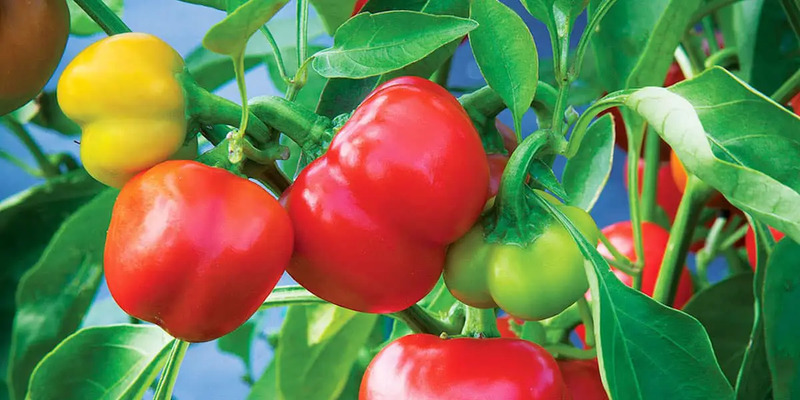 Cherry Bomb peppers are sometimes referenced as hot cherry peppers, but so are pimentos even though they carry very mild heat (100 to 500 SHU). 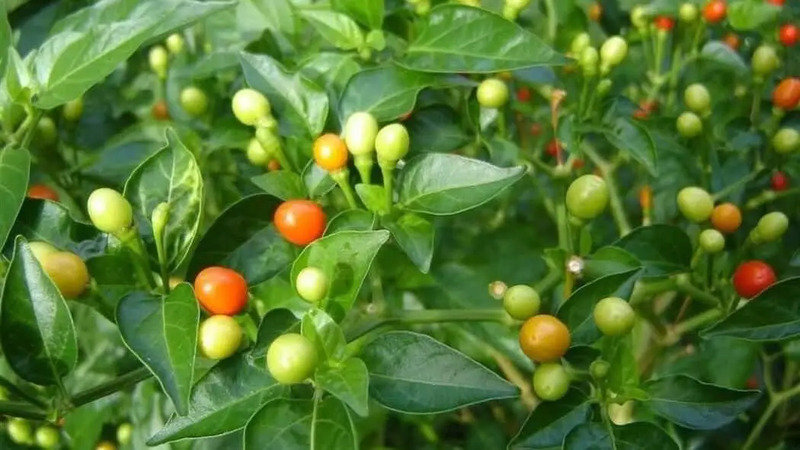 And then there’s the wiri wiri pepper that carries the same rounded look (but smaller), and packs a real bomb-like wallop at 100,000 to 350,000 SHU – the same heat as the uber-spicy habanero pepper. If you see chilies labeled “cherry pepper”, though, you’re likely getting a pimento. There’s a sweetness to Cherry Bomb peppers that’s quite delectable. It pairs well with cheeses and savory meats like sausage and bacon. 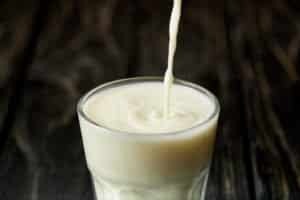 They are meaty, too, with thick walls so there’s a substance to the eating experience despite their smaller size. Due to those thick walls, Cherry Bomb chilies are terrific for stuffing. Those cheeses and savory meats are perfect for stuffed pepper recipes here. Their sweetness is a delicious stuffing pepper foil to the brighter and grassier flavor of the jalapeño. Try some of those popper recipes with a Cherry Bomb – you may be surprised at the deliciousness it yields. 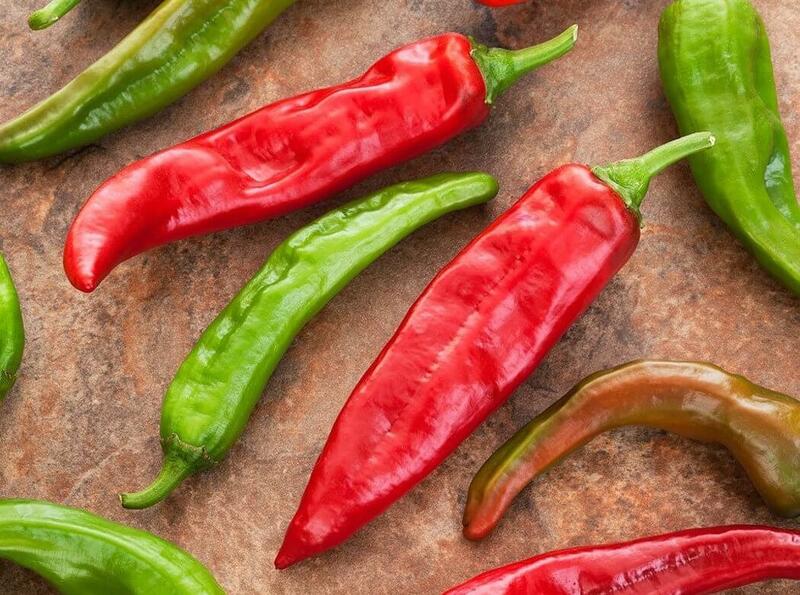 These chilies also are perfect pickled – again because of those thick walls. Here, the tang from the pickling plays well against that sweet firecracker heat making for a very tasty side to BBQ and other big flavor meals. 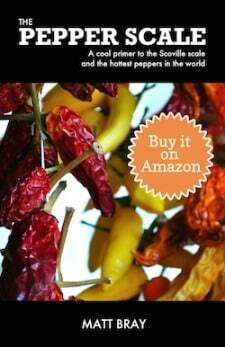 Where can you buy Cherry Bomb peppers? You don’t often find them fresh at stores. If they are, they may be labeled as “hot cherry peppers”, but again that’ll likely be pimentos you’re grabbing. Your better bet is farmer’s markets or to grow them yourself. These are popular home-grown chili peppers due to their eatability and sweet flavor. 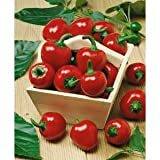 You can easily pick up Cherry Bomb peppers seeds online, or check out your local gardening center. You may be in luck. We love the Cherry Bomb as a unique alternative to jalapeños. 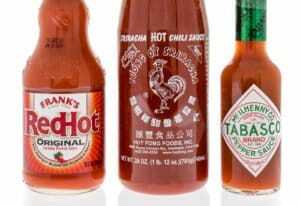 They both share similar heat ranges, yet provide vastly different flavor experiences. If you grow (or find) these chilies, try mixing up those popper recipes with a little of each chili. It adds a delicious twist to those appetizer poppers.